Dennis G34D praised by Doncaster Rovers. It is fair to say that not one day is ever the same for James and his four members of grounds staff. 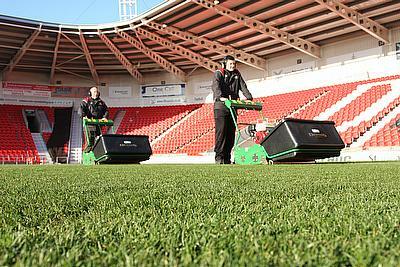 Not only are they responsible for the Keepmoat Stadium - the 15,000 capacity stadium which is home to Doncaster Rugby League FC, Doncaster Rovers Belles and Doncaster Rovers FC, but they also tend to a 500 seater stadium containing a six lane running track for athletics and maintain Doncaster Rovers FC’s training complex at Cantley Park. 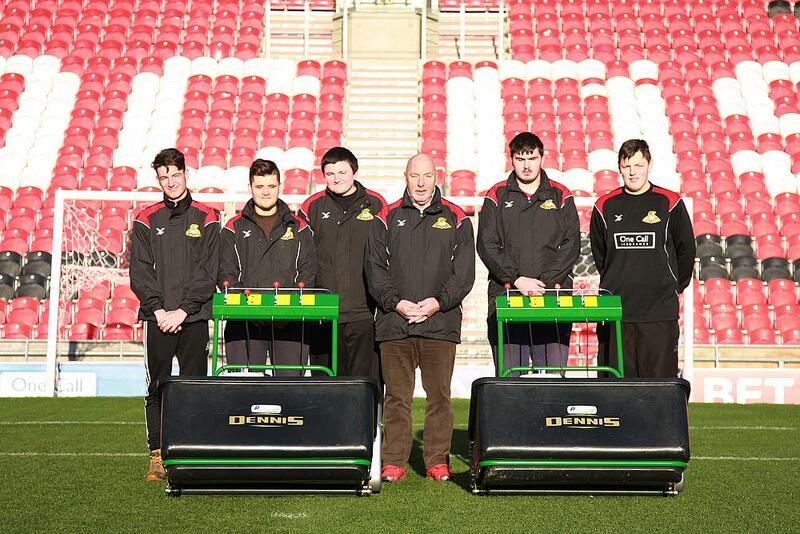 With the pitch at Keepmoat in constant use by three sports teams, James and his team are kept busy and just last year their hard work was recognised when the RFL recommended them for the Institute of Groundsmanship’s (IOG) Grounds Team of the Year. 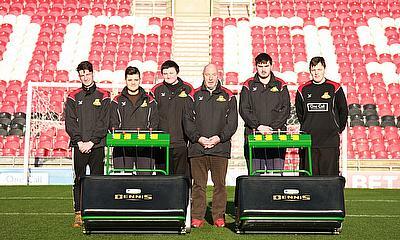 According to James, it is for this reason that he chooses Dennis mowers when it comes to maintaining the pitch. Based on his experience of using the G860’s, James purchased two of the new Dedicated G-Series range of mowers, which have been designed and built following the same concept as the Dennis G860 machine. Available in three different cutting widths – 26”, 30” and 34” - the mowers incorporate a large-diameter eight-bladed cutting cylinder to cater for a wide range of uses to leave a precision cut. The handlebar design makes manoeuvring easy and the wide adjustment makes it comfortable for all cutting heights. James uses his G34D in his match day preparations which start with a double cut on a Thursday before a game, and then subsequent double cuts on the Friday and on the Saturday. He admits that a long-term element of superstition plays a part in three double cuts over the course of three days – but so far the results speak for themselves.